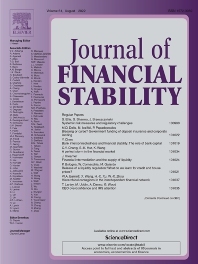 The Journal of Financial Stability provides an international forum for rigorous theoretical and empirical macro and micro economic and financial analysis of the causes, management, resolution and preventions of financial crises, including banking, securities market, payments and currency crises. The primary focus is on applied research that would be useful in affecting public policy with respect to financial stability. Thus, the Journal seeks to promote interaction among researchers, policy-makers and practitioners to identify potential risks to financial stability and develop means for preventing, mitigating or managing these risks both within and across countries.